Richard Caswell (1729-1789) was the first governor of the independent state of North Carolina under the Constitution of 1776. He was born on August 3, 1729, in Joppa, Maryland, one of the eleven children of Richard Caswell and the former Christian Dallam. Educated in the local parish school, he was obliged from an early age to assist in the management of his father’s farm and mercantile business. Due to the family’s declining fortunes in Maryland, young Caswell came to the New Bern area in 1745 in search of job opportunities and desirable land. He established permanent residence in the present-day Kinston vicinity and acquired a homesite for his parents and younger siblings. As a surveyor, he also developed a lifelong interest in land speculation. Caswell was first married to Mary Mackilwean, who died after five years. His second marriage was to Sarah Heritage, who survived him. In addition to his surveying work, Caswell served as a clerk of court in Orange and Johnston counties, gaining experience an in courtroom procedure and practical jurisprudence. Eager for wealth and advancement, he became a student of the law and was admitted to the bar in 1759. From 1754 through 1775 he sat continuously as a member of the colonial assembly, first as a representative from Johnston County and later from Dobbs County and the town of New Bern. In 1771 he attained the speakership of that body. During that same year he led the right wing of Governor William Tryon’s army in its crushing defeat of the Regulators at the Battle of Alamance. With the approach of the Revolution, Caswell assumed a position of leadership, serving on the committee of correspondence, as a member in all five provincial congresses, and as a delegate to the first and second Continental Congresses. Following his return from Philadelphia, Caswell’s defiance of royal rule and his assertions of legislative supremacy grew increasingly bold. By late summer of 1775 he had become, in Governor Josiah Martin's words, “the most active tool of sedition” in the colony. Caswell was appointed treasurer of the rebellious colony’s southern district and was made commander of militiamen from the New Bern area. Early the following year he led the brigade in the decisive victory over Loyalist forces at Moore's Creek Bridge. 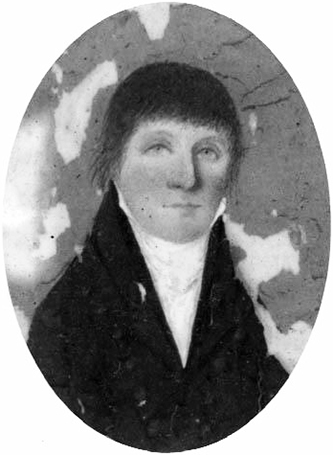 When the Fifth Provincial Congress convened at Halifax late in 1776, Caswell served as its presiding officer and as chairman of the committee to draft the state’s constitution. Moreover, this same provincial body elected Caswell to serve as interim governor of the new-born state until the first meeting of the General Assembly. When the Assembly convened in April of the following year, Caswell was elected to the first of three successive one-year terms allowable under the Constitution. In time, Caswell would become convinced that the constitutional powers of the governorship were too tightly constrained. As Governor, Caswell exerted every effort to raise and supply troops for the war effort on both the state and national levels. He also was forced to contend with continual frictions between Indians and settlers on the western frontier, with sporadic British raids along the coast, and with Tory hostilities throughout the state. When his third regular term as governor expired in April 1780, Caswell left office exhausted and in poor health. Immediately, however, he was pressed into duty as overall commander of the state militia. Four months later he shared with General Horatio Gates the ignominy of defeat at the Battle of Camden. Despite the poor showing of his troops at Camden, Caswell was elected from Dobbs County to the state Senate in 1780. There he served for the next four years, two of those as speaker. Concurrently, he also served as state comptroller general, responsible for management of public funds. In November 1784 Caswell was returned to the governorship by assemblymen. Reelected during each of the next two years, he again served the maximum three consecutive terms permitted under the Constitution. Though independence had been won, Caswell’s second period in office was nevertheless fraught with major difficulties, as both the state and nation struggled to come of age. Prominent among these difficulties were the breakaway “State of Franklin,” continuing unrest among the Cherokee in the mountains, and the troubled constitutional relationship with the federal government. Caswell was elected to the federal Constitutional Convention in Philadelphia in 1787, but was unable to attend because of poor health. During the following year he won a controversial election to the state constitutional convention in Hillsborough, but was not actually seated. He further won election to the state Senate in 1789 and to the Fayetteville constitutional convention that same year. He was to die, however, before the historic Fayetteville meeting, and was thus was denied the opportunity to vote for ratification. The last few years of Caswell’s life brought the loss of several members of his immediate family and a further and progressive deterioration of his health. He died in Fayetteville on November 10, 1789, having suffered a stroke on November 8 in the Senate chamber. His burial took place near Kinston at his “Red House” plantation. Alexander, C. B. 1946. The training of Richard Caswell. The North Carolina historical review 23 (January): 13-31. Caswell Family Bible. Accession no. H.1969.120.13. North Carolina Museum of History, Raleigh, NC, USA. Malone, Dumas. 1932. Dictionary of American biography. Vol 3. London: Milford. Richard Caswell Papers, Southern Historical Collection, Louis Round Wilson Special Collections Library, University of North Carolina at Chapel Hill. "Thought to be Richard Caswell." Photograph no. 71.10.87. From the Audio Visual and Iconographics Collection, Division of Archives and History Photograph Collection, North Carolina State Archives, Raleigh, NC, USA. "Photograph, Accession #: H.1919.30.1." Near Kinston, N.C. 1919. Image from the North Carolina Museum of History.